Looking for technicians who cover all the areas near Miami? You found them! Schedule an appointment online or give us a call today! 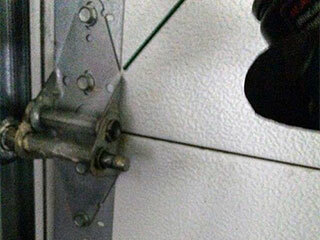 Many of the common garage door breakdowns occur because certain parts have worn down. In many cases, wear and tear can be significantly reduced with a little regular maintenance. Although your door system is complex, and should only be worked on by our team of professionals, there are still several ways you can improve the service life of your door. Your door must be able to move smoothly, or the moving parts will wear much faster. Before taking care of any other maintenance work, spend some time clearing any built-up grease or dirt from the door’s moving parts. You can use brake cleaner to do this. Be sure to pay special attention to the door tracks, since dirt can easily build up here. All garage doors are fitted with heavy-duty springs for lifting and lowering the door. They’re not designed to last forever, but you can extend their working life by applying a little lubricant once a year. Clean off any grease and grime, and use white lithium grease to keep them running smoothly. This lubricant will also protect against corrosion, further extending the life of the springs. All modern garage doors are fitted with a variety of safety features. It’s essential to test these regularly to prevent accidents. Firstly, check the safety sensors - these are mounted either side of the door and if anything is placed between them, the door shouldn’t move. Next, test the auto-reverse. Place a block of wood in the door’s path - when the door meets it, it should reverse. Finally, the door should balance when it’s halfway open and the drive is disconnected. If any of these features don’t work you’ll need to schedule an appointment with our technicians - these systems are vital, and should always be kept in working order. Give the front of your door a thorough cleaning every now and again. For plastic and metal doors, a bucket of soapy water and a cloth should be enough to remove any stains and dirt that have built up. For wooden doors you may need to spend some time sanding down the exterior, before applying wood sealant to prevent the material from degrading. If you find that you need some type of service, from minor repairs to complex panel replacement and more, don't hesitate to get in touch with us - the best garage door experts nearby. Why Is My Garage Door Opener Making A Strange Beeping Noise? How Much Does It Cost To Replace A Broken Garage Door Spring? Have you been searching for a reliable Miami based garage door company for a while? Look no further! Our technicians have more than a decade of experience and are highly skilled when it comes to finding effective and affordable solutions to a range of malfunctions. Find out more here by checking the rest of our website! Thank you for choosing our company! Feel free to browse our website for more information in the meantime. Our team at Garage Door Repair Miami is at your service any time!